'Markings' by Jo Mcintosh at Parx Cafe! 'Markings' is the current show on display at Parx Cafe in Aberdeen's West End. Located just off Rubislaw Terrace. 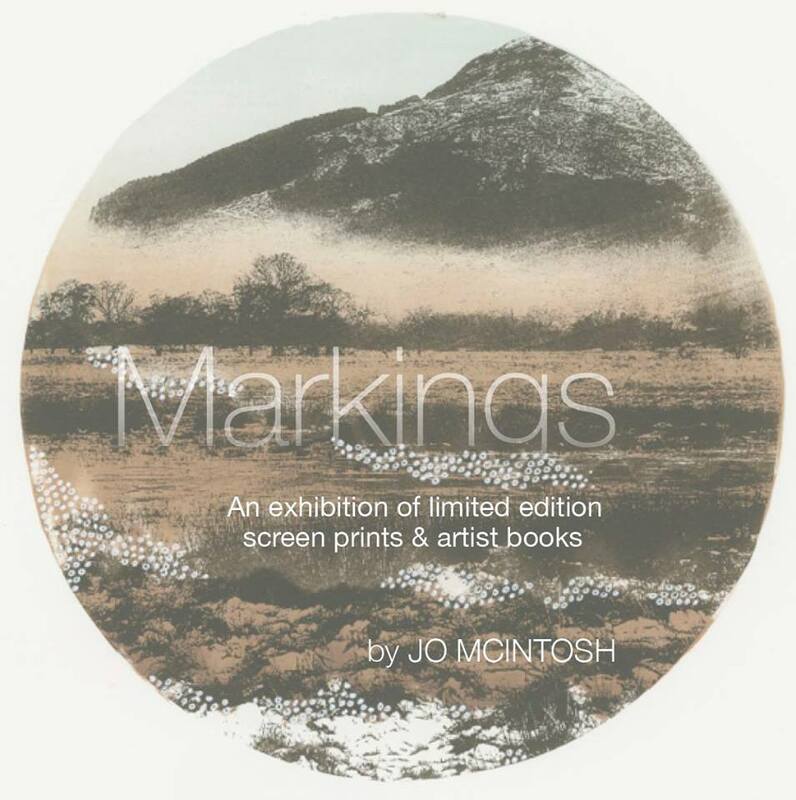 'Markings' showcases the work of print maker and book maker Jo Mcintosh and features a lovely selection of work from editioned screen prints to hand stiched accordion style paper books. Although Aberdeen isn't short of galleries it's quite nice to be able to grab something fine for lunch while checking out what's on the walls. Its probably one of the things I miss the most about the EARL of Sandwich, that and the fact they gave me a panini tab! Parx Cafe has been a regular spot to check out new artists and its refreshing to find an artist like Jo who's got an extensive background in the arts and I'm only just discovering her work now. From her degree in fashion design to running creative workshops and now in her current capacity as a lecturer, Jo has certainly been carving out a unique style and approach to her art. 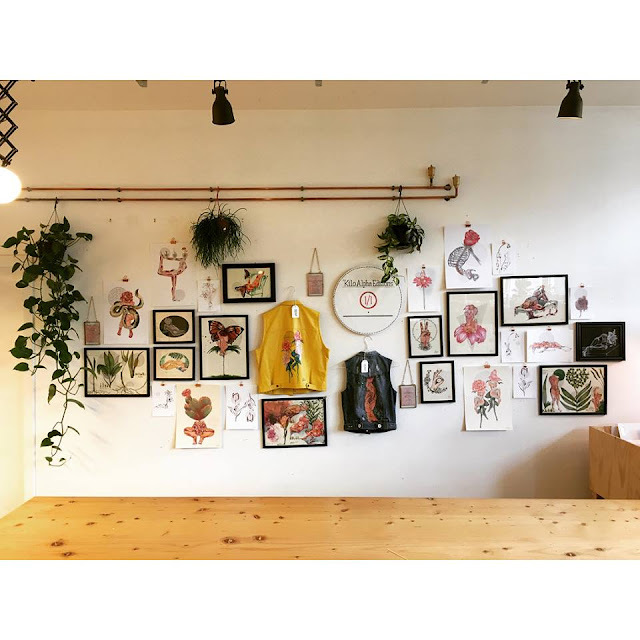 Although her work would sit nicely in a white cube gallery, the cafe is just as important a space for reaching people and giving them a chance to connect with art. As the other punters sat chatting over their pies I couldn't help but wander around taking in each piece and marvelling at the delicate and beautiful accordion books. Although they'd been blown about by the door draft each one seemed like it had been placed meticulously in its place. The coloured thread added a subtle detail and lead my eye on a short journey along each piece. Colour was also used to great effect in the larger landscape prints which appeared to incorporate local landmarks and scenery, familiar and yet somehow universal looking, rural Scotland at its finest. I've missed quite a few openings lately but generally if you actually want to see the art you're better off popping in on a quiet day off and Parx is just that little bit out of my usual route that it reminds me to explore the city more. 'Markings' will be on display for at least a few more weeks so be sure to pop past Parx for a look and if you've time try their chicken pie, its like heaven on earth. Great setting, great work, great food. Thanks to Kirsty for letting me take some snaps and be sure to check more of Jo's work on her website here! 'Show and Tell' with Jack Davidson at WORM!